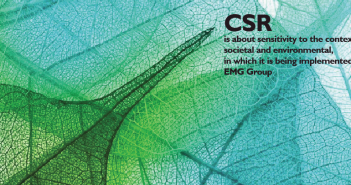 Aligning business strategy & social responsibilityStrategy. Integrating an appetite for economic progress with sustainability objectives provides not only a roadmap for competitive growth but can strengthen market position and transform and differentiate an organization in carving out a niche market. An organization built upon responsibility is one informed of its social and environmental impacts and as such, one poised to tap into growth and investment opportunities. The process of developing a strategy captures this vital information which can be used to inform and enhance an organization’s development. Many forward-thinking organizations are already looking beyond their own immediate operations to those of their entire value chain and generating positive impacts on a global scale. EMG has extensive experience in creating holistic strategies that are integrated with an organization’s core objectives to generate real and measurable progress. Click here to contact us.